Well, that week went by quickly! 128: My five kids at our seasonal campsite on mother’s day. 129: Justin pitching windmill for the first time! He got three strikeouts, and made a double play. Yippee! 130: We finally have dandelions!! Spring must really be here. 131: Michael was so excited to finally get to be back-catcher. 132: Apple blossoms are starting! 133: Hannah has recently discovered Dora… and is now enthralled. And yes, she’s wearing a tank top with Christmas socks. So, that’s a peek at how it’s been around the creek this week! Visit Sarah to check out some more 365’s. 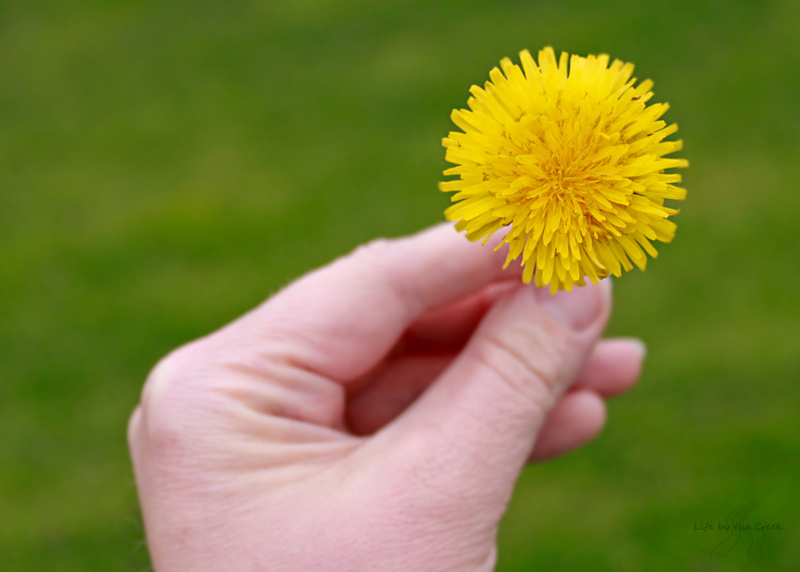 YAY for Spring and dandelions. Gorgeous sunset. Looks like a great week. Thanks for linking up. Great photos. Love the dandelions. Great shots, the sunset is real pretty. Thanks for linkin up this week! I have five children and one of them is a Hannah. Mine are between the ages of 23 and 17...No Dora for us. hi, first time visitor here. my favorite is 133. my 13 month old wore christmas pajamas the other night. whatever. Great shots! Love the dandelion and the camping shot.